In multicellular organisms, including humans, most DNA is coiled up within the cell’s nucleus. A small part, however, is tucked away within the mitochondria— organelles that produce energy and regulate many metabolic processes within the cell. However, there is growing evidence that some mtDNA variants can get selected over the others under certain circumstances. A new study by researchers at Okinawa Institute of Science and Technology Graduate University (OIST), in collaboration with Monash University in Australia and University College London in the UK, has found that mtDNA can be even more subjected to selection than currently believed. Dr. Zdenek Lajbner and his colleagues from the OIST Physics and Biology Unit, led by Professor Jonathan Miller, conducted experiments with fruit flies (Drosophila melanogaster) to demonstrate how differences in environmental temperature can influence the selection of one mtDNA variant over another. “Our design is the first of its kind when it comes to inferring the role of thermal selection in shaping mtDNA frequencies in nature,” says Dr. Lajbner, lead author of the study, which was published in Scientific Reports. 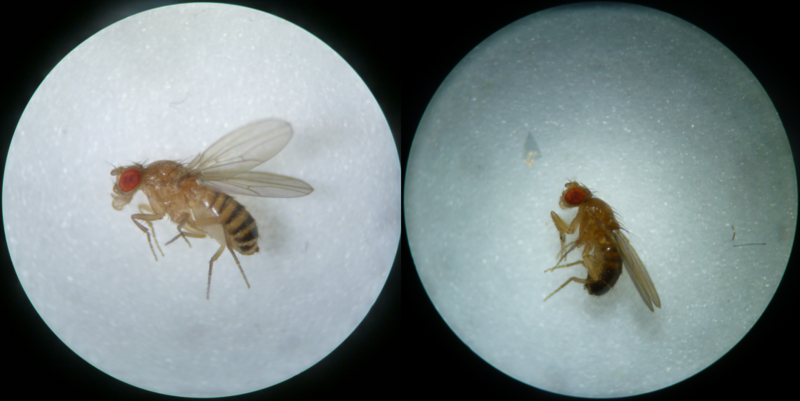 Fruit flies exhibit sexual dimorphism. Males are smaller, they have bristle on their forelegs, their abdomen is blunt, and their stripes meld together and become dark toward the back of the abdomen. Females are larger, and their abdomen is longer, pointed, and striped until the end. The sexes differ in many aspects. In this study, researchers reveal that male fruit flies respond to environmental temperatures differently than females that bear the same mtDNA variant. Fruit flies were collected from two sites in Australia: a northern site that had a warm sub-tropical climate, and a southern site that had a cold temperate climate. The flies from the two sites were then interbred in the laboratory. 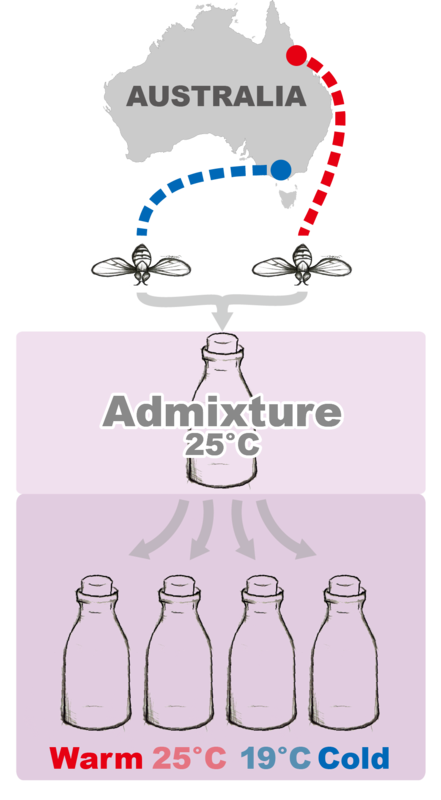 The initial stage, called admixture, took place at 25ºC, and the later generations were reared in bottles maintained at different temperatures ranging from warm to cold. While two bottles were maintained in constant 19ºC and 25ºC, the temperature in the other two bottles simulated the thermal conditions of the two sites from where the flies were collected (fluctuating cold and warm). 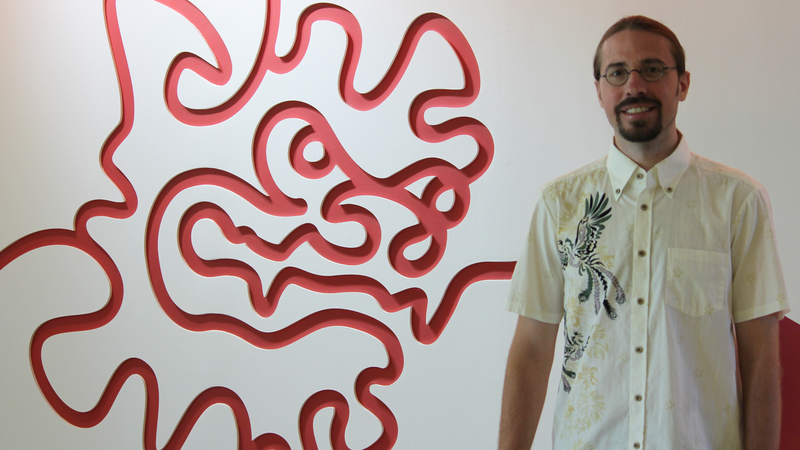 Dr. Zdenek Lajbner is from the Physics and Biology Unit at OIST and the lead author of the paper.